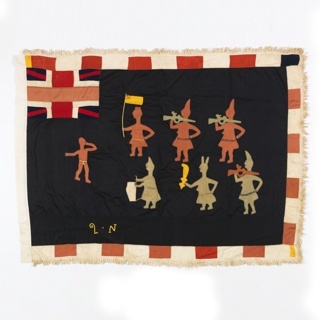 See more objects with the tag stripes, men's clothing, identity, status, hats, headcovering, pompom, zigzags, hat, African. See more objects with the color sienna darkslategrey saddlebrown darkkhaki darkolivegreen or see all the colors for this object. 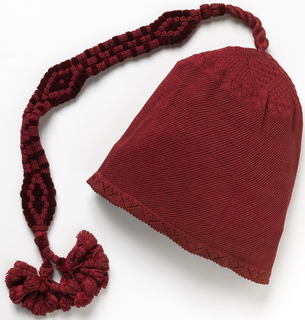 This is a Man's two-horned cap. 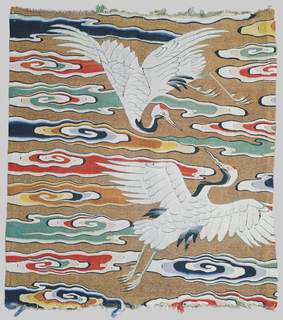 It is dated late 19th–early 20th century and we acquired it in 1960. 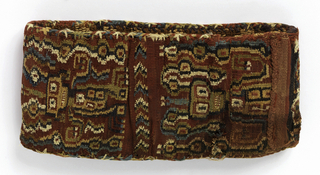 Its medium is raffia, wool, cotton and its technique is twisted looping, overhand knotting, colored yarns overlaid. It is a part of the Textiles department. 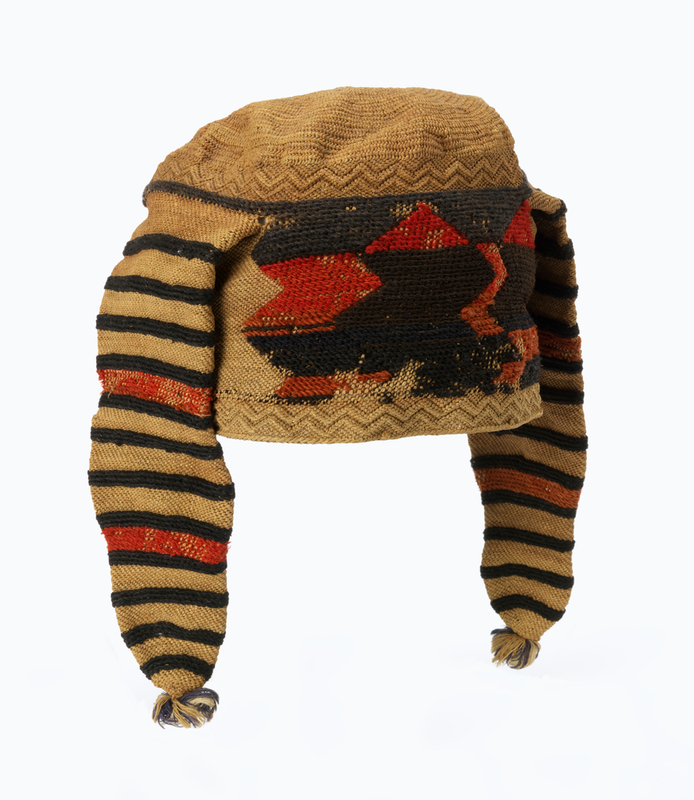 This exquisite cap of office, made by a male specialist, features two striped jimbina, or horns. The horned cap was first described to Europeans by Giovanni Antonio Cavazzi da Montecuccolo, a Capuchin friar who lived in Angola from 1654 to 1670. An engraving of a chief wearing such a cap was included in his five-volume description of the lives of the Kongo and Mbundu peoples. 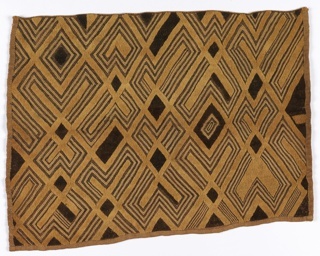 Giovanni Antonio Cavazzi da Montecuccolo, Istorica descrizione de’ tre’ regni: Congo, Matamba et Angola (Bologna: Per Giacomo Monti, 1687), referenced in Gordon D. Gibson and Cecilia R. McGurk, “High-Status Caps of the Kongo and Mbundu Peoples,” The Textile Museum Journal, IV, no. 4 (1977): 75. 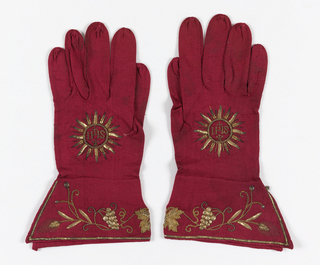 This object was donated by Mrs. Benjamin Ginsburg. It is credited Gift of Mrs. Benjamin Ginsburg.